Yes most definelty Mrs Mrs Figg. But then scifi stuff in a Victorian setting is always a bit steam punk looking I find- especially if the people making the scifi stuff have to use contemporary means- the cyber king stompy rubbish RTD era xmas episode was very steam punk too- I hope its a hell of a lot better than that one however. oi whatchit Petty! no dissing RTD or youll start another flame war. I havent blown off for at least 5 minutes. You gave to admit that cyberking episode was pretty pants- was good moments between the 'two Doctors' but the plot, the cheesy use of the workhouse kids, the awful stompy cyberking. Just didnt do it for me at all that one. The Dickens episode is miles better in my view- best NuWho set in Victorian England I think. See- a concession, its an RTD era episode. nope I thought it was the usual RTD brilliance actually. and it was a whole lot more entertaining than the silly soppy Cybermen episode where the big guy 'splodes a Cyberman cos he lurves his kid boo hoo! waaah waaah! There advertising Dr Who at the Proms here in Aus, have you seen it Petty ? Sadly not yet Chris but its on my list of things to see live before I die! If you get a chance I;d recommend going. And if youve got little Whovians about take them too for the entertainment value of the look on their faces. 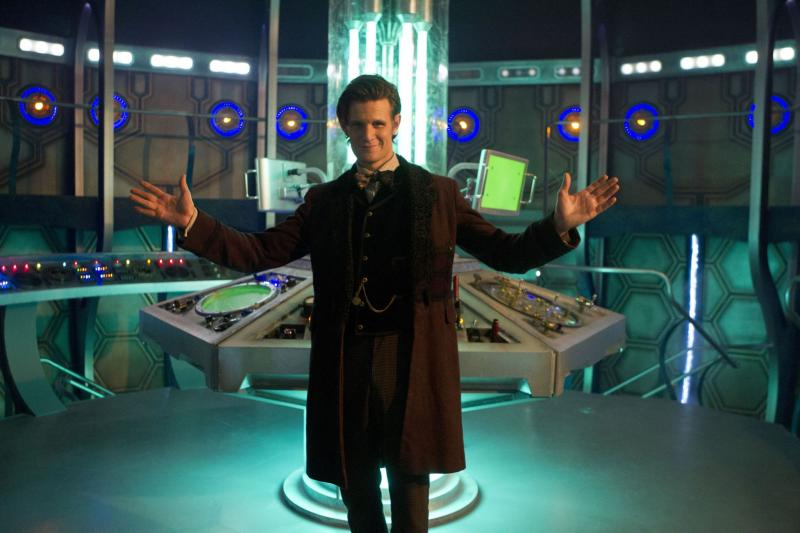 BBC America trailer for xmas episode with new clips. Nice vid celebrating the visuals and cinematography of Moffat era Who- in my opinion the show has never looked better. And some more news- the title sequence has been revamped and a new version of the title music made- not sure if thats from now on or just for the xmas episode. Alongside some sort of change to the tardis and it looks like Moffat is taking the new companion opportunity to make a few alterations. I've been ignoring most of the discussion uptil now. But we've seens as far as the Angles takes Manhatten... What crap! The Pond story arc makes no sense, at least Amy and Rory gets to do some ok acting. I am sure they focused on doing their job so they wouldn't burst out saying: "This is rubbish, Moffat!! You are bored with us, we can tell!!" Loving Rory's dad though. And the dinos were fun. Im curious Amarie what it was about the Pond story arc you thought didn't make sense- only the divorce bit in Asylum didnt sit well with me. Well, it does make a little sense, it's just... so forced. In that last episode or over the series? And was it because you knew it was coming? What I mean is do you think it would have seemed less forced if you had not known they were leaving in that episode? I didn't know they were leaving in that episode. I've been trying my best to rease your spoilers from my mind you see! But I was thinking it couldn't be now, you're suppose to cry when a companion leaves, not roll your eyes and think "well, can't he just....". Mmm, not quite sure I follow- but are you saying the problem didnt seem final enough? I think killing them completely would have been too much and not been satisfactory- not for me anyway- this way they get their life together, just cut off in time. And there are reasons given in the ep for why the Doctor cant just go rescue them. Still, at least you liked the dino ep- and its controversial ending! It's like the Old-Amy ending. I don't buy it. 9th and 10th would have found a way. Of course 10 would have found a way while stopping only to pose for no good reason while lit up from behind by random explosions, faulty electric wiring and supernovas and such... Can't have it all I suppose. Finger crossed for later episodes. Not sure which bit you mean- do you mean the Doctors haeart attack -or Amy's 'treatment'? I mean the saving everybody who had been dead for a good while bit. Well technically the episode doesnt say he saved them- he stopped what was going on- you saw some people get back up- but the story never confirms the aftermath- I assumed at least some of the people struck down would be brain damaged and it would not be in time to save everyone. Just in a family show Moff didnt dwell on that aspect. I like it! Its very classic Who- harking right back to the first Doctors control room. That makes sense to me - the Doctor hiding in his past, before he screwed so many people up. i liked the one before,the one with the glass floor. I reckon Moff might have thought it was too associated with the Ponds- both in the audiences and the Doctors mind. Having a new interior does help give a sense of a clean break and new start. 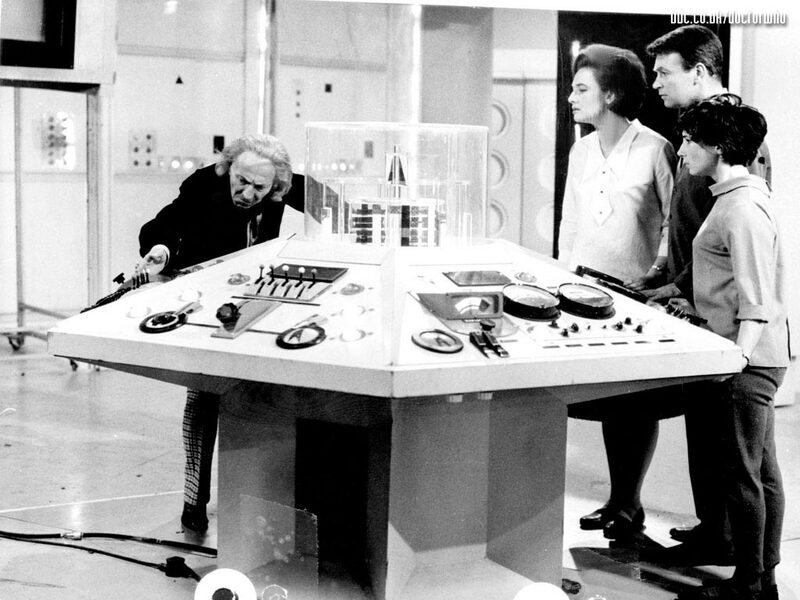 There is still folks pinning after Tennants Tardis, and some who say it never got better than the 4th Doctor's control room. I tend to dislike the newest one, then after a few weeks Im used to it- least that was happened with 9/10th's and the glass floored 11th interior. well if this Oswin wears a bustle, theres no chance of looking up her skirt. so the Doctor doesnt need a glass bottomed boat. 1.50 for the partcularly relevant bit.